If you’re a homeowner, you’ll be aware of the burden that comes with maintaining a property – cleaning gutters, changing AC filters, exterminating pests, etc., but have you ever done any home sewer maintenance? If not, that needs to change. What’s a Home Sewer Line? In short, a home sewer line is where all your plumbing lines connect. By this we mean, all your sinks, showers baths, toilets, etc. These all filter out using the same path. From there the waste travels away from your home and eventually links to your neighborhood’s central sewer system. Needless to say, it’s important we maintain our sewer lines to avoid clogging. This can lead to a back up of filth and other harmful substances, which isn’t only gross, but it can also cause significant property damage if a flood ensues. The easiest way to prevent clogging is to be very careful with what you put down your drains. So, we recommend thoroughly scraping your dinner plates before putting them in the sink to soak. More importantly, never pour grease down the drain. When it cools, it becomes solid and starts to stick to the lining of your pipes. Instead, drain it into a container, allow it to cool, and then throw it out in the trash. We also urge you not to flush anything other than sewerage and toilet paper down your lavatories – as again, this can lead to clogs. We all love high water pressure when taking a morning shower. However, this inflicts undue stress on your pipes – which increases the likelihood of a potential leak. You should note: installing a low-flow showerhead doesn’t decrease the pressure inflicted on your pipes. Instead, it only impacts the amount of water coming out of the showerhead. You can monitor your home’s water pressure by measuring it. Just purchase a hose bib gauge from your local hardware store (these usually cost under $10). Then attach it to your outside spigot and ensure the line is open. You want to see a reading between 40 and 85 psi (that’s normal for water pressure). However, if it’s above that, you’ll probably need to get advice from a professional plumber. Upon inspecting the situation, they may find a pressure reducer is necessary to fix things. This will most likely set you back around $400, which may seem like an expense, but it’s certainly cheaper than a flooded home! 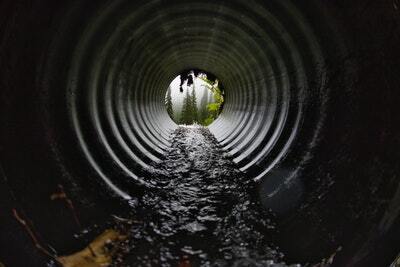 Have Your Learned Something About Sewer Maintenance? We hope having read this article; you now have a better idea about the importance of sewer maintenance. If you need a helping hand with this task, please don’t hesitate to get in touch. One of the many services we offer is sewer repair, and we’d love to steer you in the right direction when it comes to your home sewer line. Speak soon!